Georgia. Chiatura City. 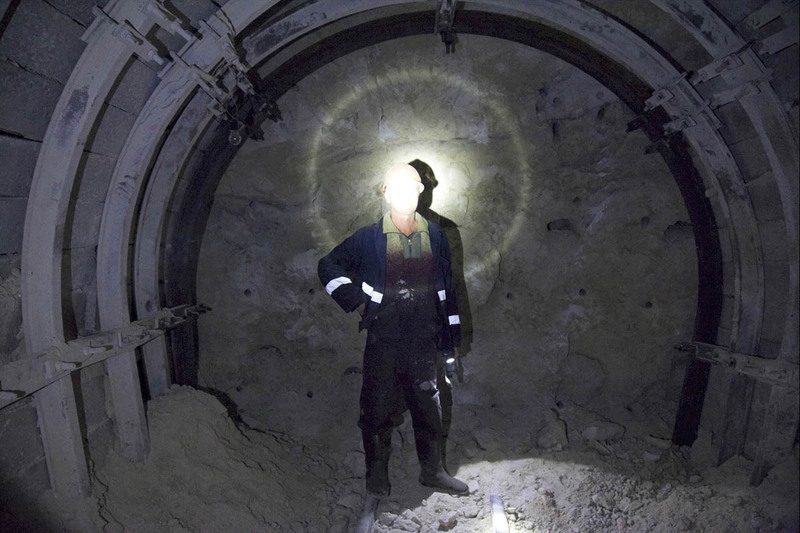 Inside the mine tunnel. Many mineworkers are afraid to discuss about their circumstances. Workers get threatened by the head to be fired from work if they speak about the conditions they are working in. Today It's almost impossible for the media to go inside the manganese tunnels.